TDATS introduces sixteen new names for Volume 123, the second collection of Spanish bands, after 39: Bandera Inmortal. Most of the usual suspects were covered in that episode, and like The Netherlands for example, searching for further heaviness means looking through all the bands that only made singles, EPs and unreleased material. As such, only five of the 16 tracks here are from albums originally released at the time of the bands. Singles, EPs and archival recordings make up the rest. 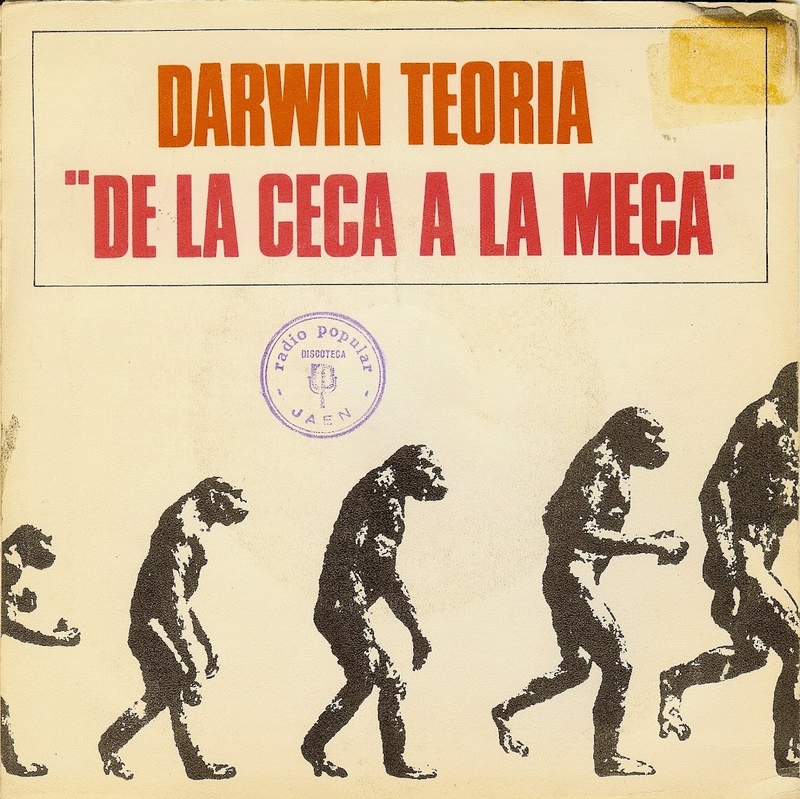 The searches never end though, and even as I write this I am finding new Spanish discoveries, including LPs, so lets hope there'll be more to come later, as what's here is really good! During making this I found out about the "15 horas de Música Pop de Burgos" festival, in Burgos in 1975. 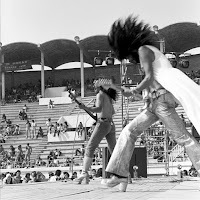 It appears to have been Spain's first important rock fest with music ranging from pop to hard rock and prog. Bands that have appeared in TDATS before played it, like Triana, Storm and Eduardo Bort. A new band appearing in this volume called Burning also played it. The fest has since passed into legend, now known infamously as "La invasión de la cochambre" (The invasion of filth) after the hoards of back-packing hippies and free lovers that homed in on it. You can read more here and here. Mix master Mara B. Stones (mixcloud) has done a great job of embellishing this volume and rounding it off with cool quotes from acid psych compilations and some old movies. Enjoy! 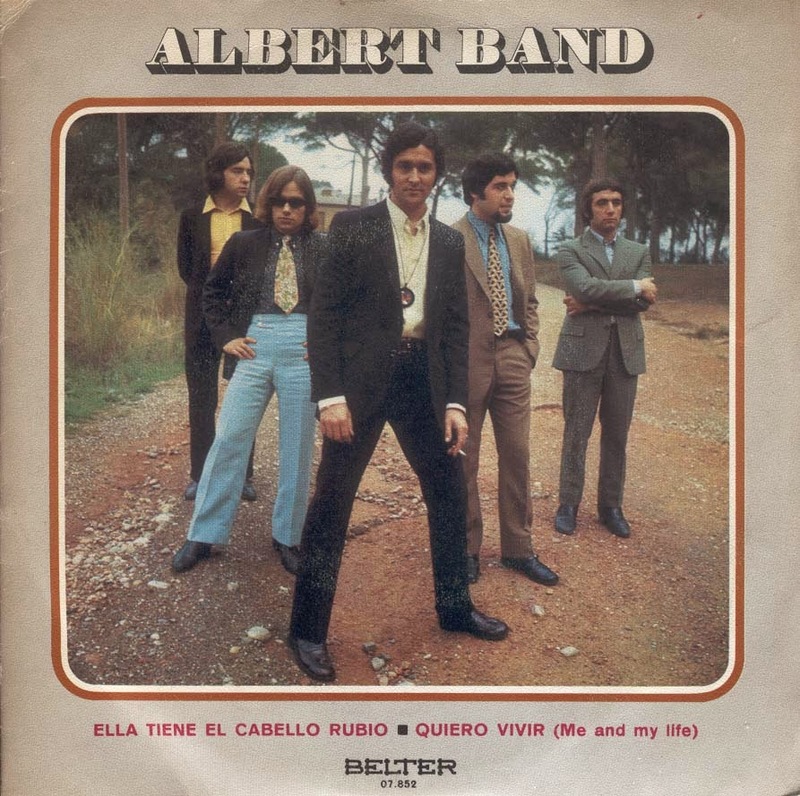 Catalonia's Albert Band made decent pop singles around 1968-1970, and for one they made a real belter called 'Ella Tiene El Cabello Rubio' (She has blonde hair). Amusingly this particular single was released on a label actually called "Belter"! In fact, Finders Keepers Records has made a comp of Belter singles called "Absolute Belter" (link). It would appear the band's name comes from singer, Albert Garriga. Albert Band appeared at the third "Festival internacional de la canción de Màlaga" in 1970, where you can see them in the program (link). 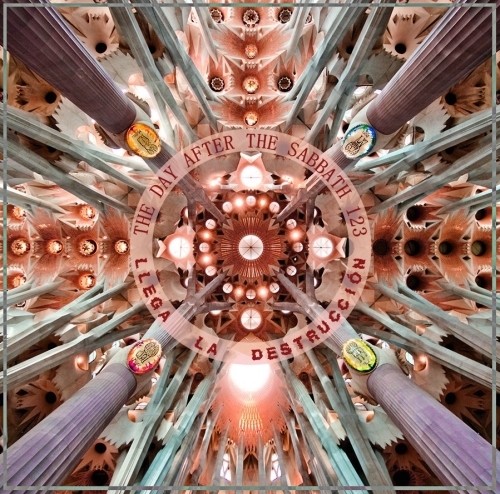 On to similar pop band heaviness territory for the next track from Madrid's Los Buenos. Julián Granados (link) is the front man here, he was also in Los Angeles and The Brisks, as well as being a solo artist. 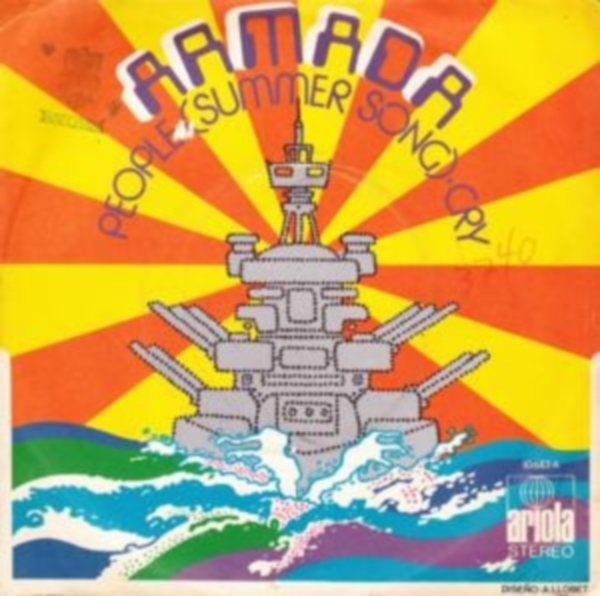 Some other interesting links from this band: guitarist Johnny Galvao was in Aguaviva who appear in Vol49, bassist Ignacio Egaña made a solo LP in 1974 called "Karma", and keyboardist Rod Mayall was the half-brother of John Mayall. He moved to Spain after leaving Ivan's Meads. After Los Buenos he joined The Pipe from South America who played latin-flavoured rock. Read more about that here (link). 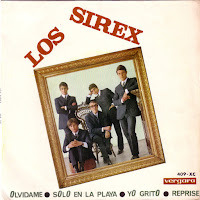 Time for some 1966 fuzz from Barcelona's Los Sirex. At the end of 1960 the band consisted of Antoni Miquel Cerveró ("Leslie" or "L'Anxoveta") as lead vocalist, Lluís Gomis (Lluís Gomis de Prunera, 1944-2012, RIP) on drums, Josep Fontseré Portolés on the rhythm guitar, Guillermo Rodríguez Holgado on bass and Manolo Madruga on lead guitar. They named the band after a component of eyeglasses manufacture: Guillermo worked at his father's glasses factory. The first performance of Los Sirex was at a Barça football fan club (Penya barcelonista), followed by concerts at The Tropical in Castelldefels. Reportedly their daring lyrics caused them trouble with Spanish censorship. The band has occasionally reformed and played as recently as 2012. Another Barcelona group comes in at track four, Furia. They formed in 1970 from ex-members of a band called Los Gatos Negros, who themselves came from 'Catch As Catch Can' of the late '50s. 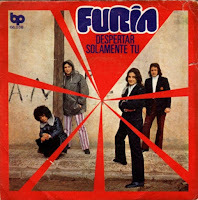 Like Albert Band, Furia had some singles on Belter records. 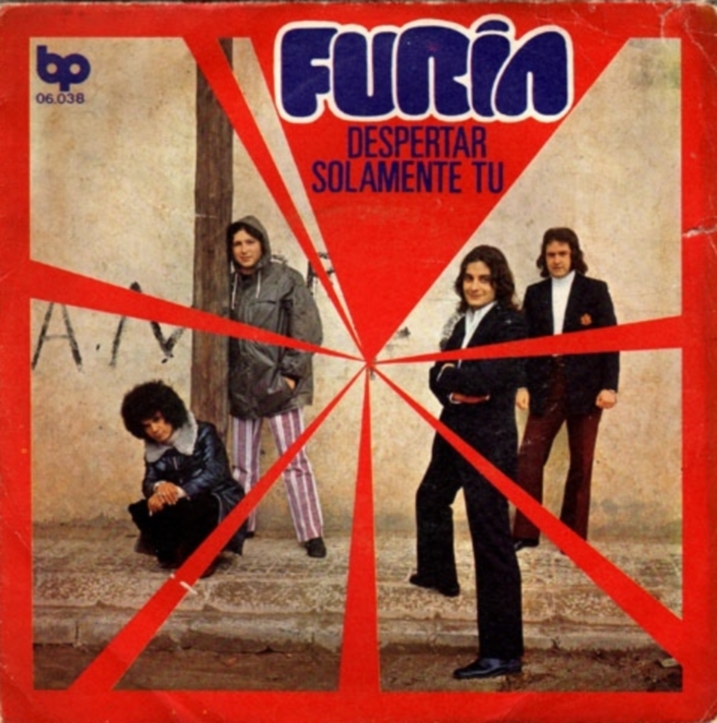 Furia were not a particularly heavy band but like many at that time you can find the goods on some of their B-sides, like "Solamente Tú" (Only you) included here. It has a chunky riff and a great freakout guitar solo. 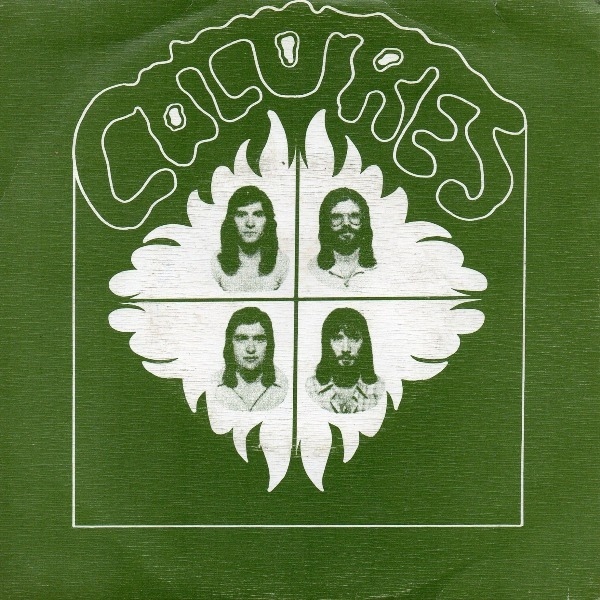 Next up is an extremely rare EP from a band called Colores. According to RYM (link) they were from Madrid, and included José Luis Ortega (keyboards), Manuel de Dios (guitar, vocals), Rafa Insúa (bass) and Rafa Ramos (drums). 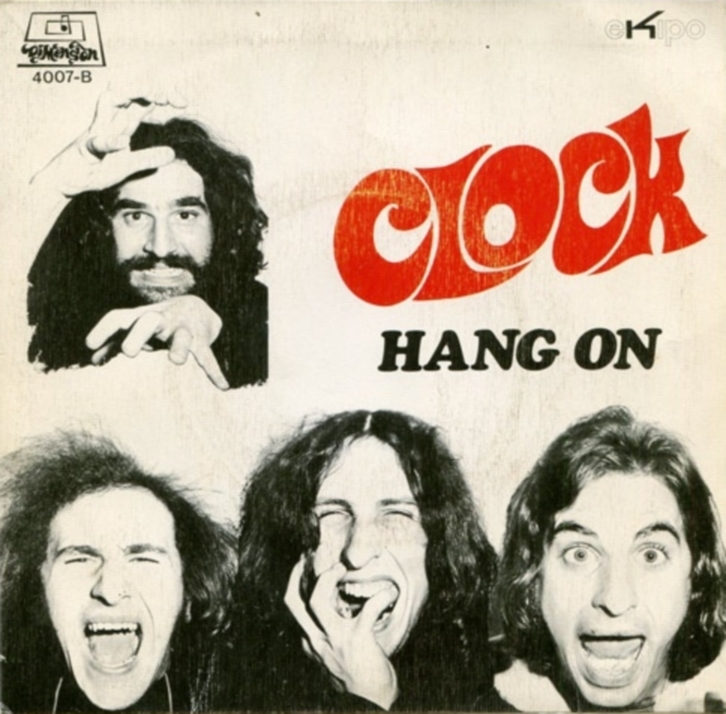 They made a four track EP around 1975 which is some good heavy prog / psych with hammond organ. It sounds a few years behind the times for 1975 but none the less it's solid and worth a listen, although it's rarity might make that hard as it goes for around €100. I used the track "Rompecabezas" in this comp, and here's another track from the EP, "Es Mejor Olvidar" (youtube). Clock had some singles out on the Barcelona label, Dimensión (link). This small label was responsible for a couple of other bands that have been used here in TDATS, Evolution and Cerebrum. 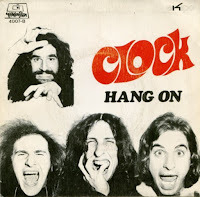 Clock themselves were more of a pop band than heavy, but they made good music and B-side "Hang On" is a very groovy, brassy little number with some good heft, one for the dance floors indeed. There's almost no useful online information about Armada. They seem to have only made one single on the German Ariola label, but it's a good one, both sides. The heaviest cut is B-side "Cry" but the A-side "People (Summer Song)" (youtube) is fun too. The only snippet I have come across so far is that the band was started by one-time guitarist of Barcelona's Lone Star, Alex Sánchez. If you'd like to read some more in Spanish, there's a discussion board thread that mentions Alex and Armada here: Spanish / English autotranslation. It states that other than Lone Star, Alex was in groups Los Íberos, The Pipe, Los Zooms and The Food. I wonder if that is the same The Pipe mentioned above re: Los Buenos. 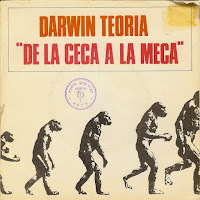 Darwin Teoría (Darwin Theory) are up next, they had some singles on the Poplandia label (link), which distributed in Spain some European bands that have appeared here before, like Geordie and Shocking Blue. 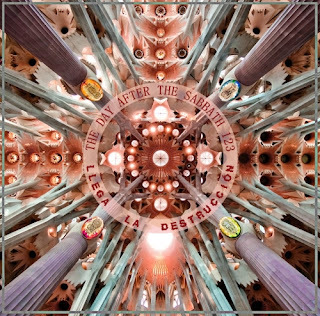 B-side "Hello Memories" (youtube) is a great piece of Mungo Jerry-like heavy pop and I have included here the A-Side "De la Ceca a la Meca" (From Pillar to Post) which has some awesome growling fuzz and wah guitar, the way we like it. Here is what the Spanish re-issue label Guerssen says about Shock! 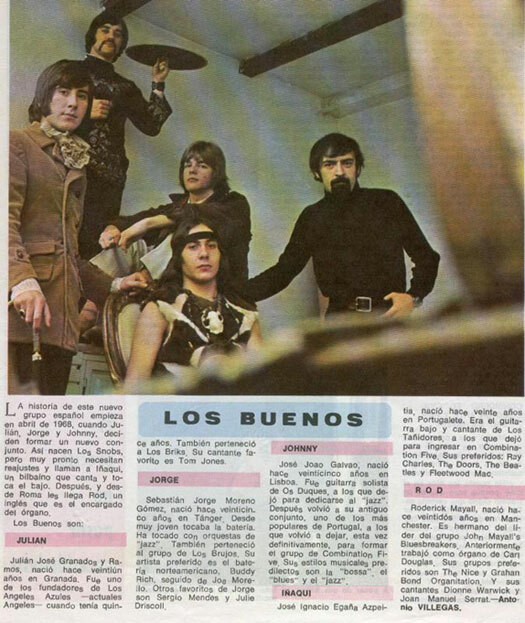 : "We are very excited to present what is for us a major discovery in the Spanish Psych-Prog collector scene: a previously unreleased album from 1970 by this obscure Spanish garage-psych band. Until now, Shock were a total mystery. They only released one 45 back at the time (the killer acid- fuzz punker "No se puede ser Superman") (youtube) and nothing was known about the band...until we tracked them down. We discovered that prior to their 45 release, they recorded a whole album which was never released. 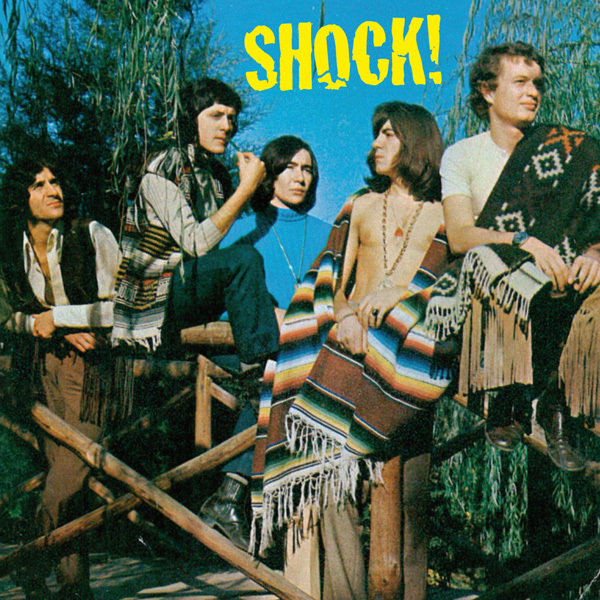 Shock's music is underground garage- psychedelia with crude acid- fuzz guitar, effects, English vocals...think of Agua de Regaliz, early Pan & Regaliz, Cerebrum or even obscure Brazilian bands such as Tobruk but with a more primitive sound. The album features ten songs including the original versions of the two tracks later re- recorded for their only 45: "No se puede ser Superman" (titled here "I'm being mad", it's a different and superior English sung version) and "I want to laugh" (a longer version than the one included on the 45). 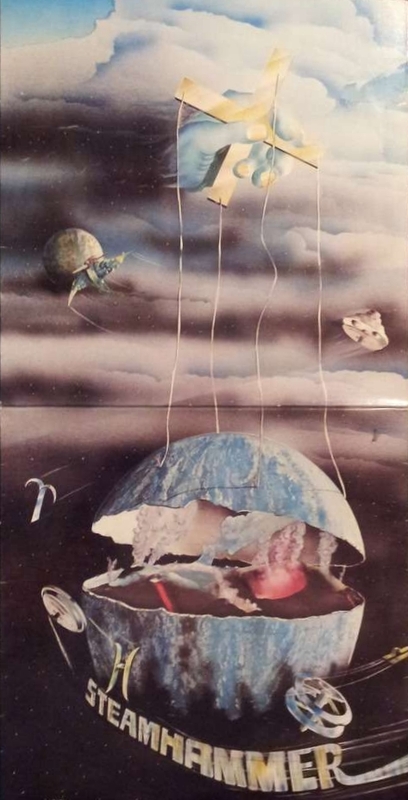 Remastered from the original 2- track tape"
Smash were a quality band from Seville who played a few different styles over two albums and could wig out with the best of them when they wanted, as "Fail Safe" shows. 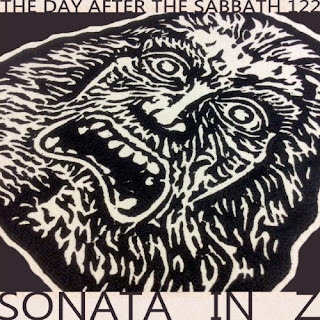 This is ten minutes of grungy punks letting loose and enjoying themselves, hypnotising the listener with with a relentless barrage of staccato riffing and stoned jamming. It's a real blast this one. 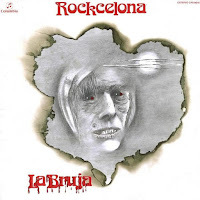 Prog archives (link): "Spanish prog rock with flamenco sitar. Formed by the sitar / guitar player Gualberto in 1967. 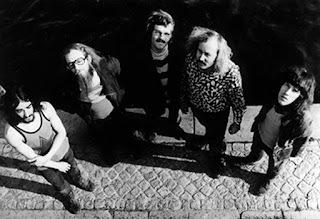 The band Smash recorded at the beginning of the seventies two classic rarities of psych / prog rock for Philips label ("Glorieta de los Lotos" in 1970 and "We Come To Smash This Time" in 1971) . 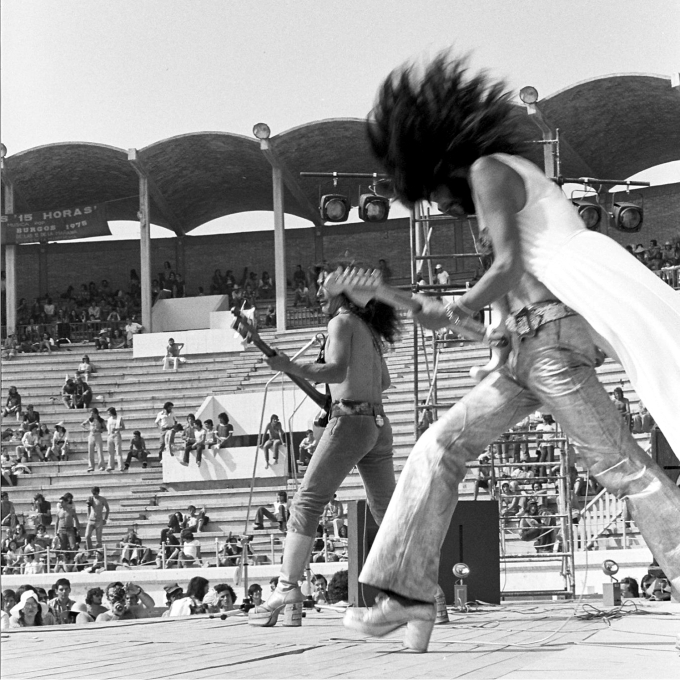 The early death of the vocalist Julio Matito marked the end of the band's adventure. In itself, Smash's music has similarities with the Moody Blues and Vanilla Fudge's psychedelic mood. The flamenco touch is evident, applying on traditional "palos" (tarantos.) thanks to Manuel Molina's guitar style. In parallel the leader Gualberto has recorded a few progressive albums with Ricardo Mino, mixing Hindu music to conventional Spanish flamenco guitar works." Franklin were a late entry here after I saw a post in the TDATS fb group while I was finishing this. I'm glad it was posted as this is a killer track that mixes hard rock riffs and heavy psych to perfection. The El Cocodrilo label (link) released a double LP of all their recordings in 2007, the track I have used here is taken from the first-half LP of that, which is a collection of all their unreleased tracks pre-1973. 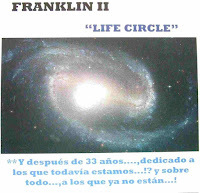 The second LP is a complete unreleased 1974 album called Life Circle, that was recorded by an altered line-up and is more towards prog rock: "Franklin was one of the first underground groups in Spain, formed in the late '60s by several of the best musicians living in Madrid at the time. 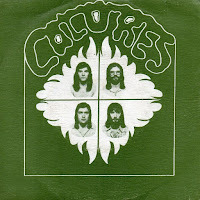 Founded in 1971 by Pablo Weeber and Antonio García de Diego (with Mariano Díaz on keyboards, M. A., Rojas on bass & Juan Cánovas on drums), backed by producers Maryní Callejo and Teddy Bautista. They released a single which included a brutal version of the Stones' Satisfaction that appeared in the Andergraun Vibrations 2 (link). 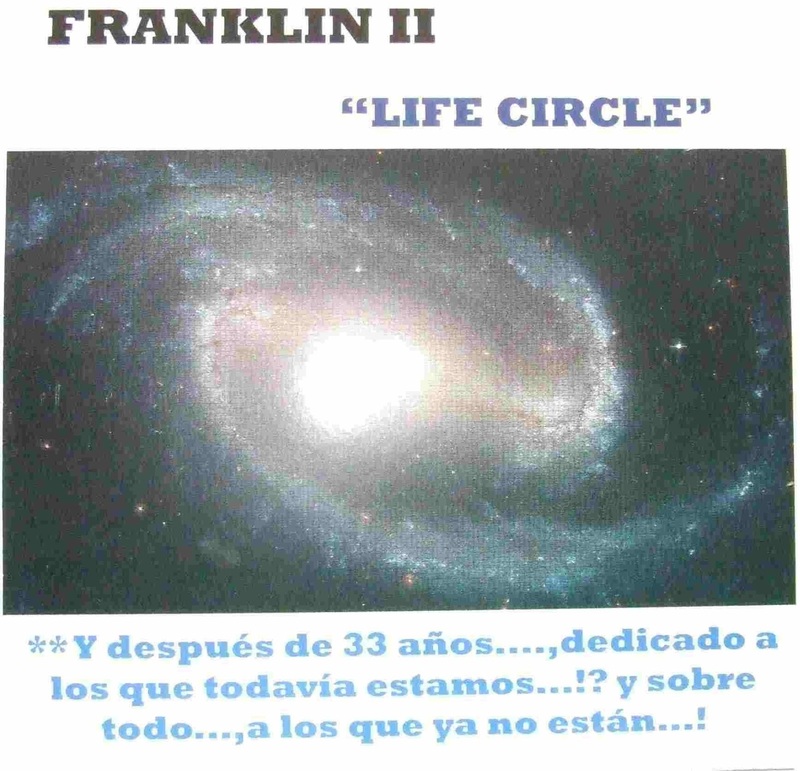 In 1974, the group recorded a whole album which was unpublished until now; 'Life circle' is a concept album, much more prog-rock than their previous recordings. Conceptually, it has similarities with the Ciclos de Canarios (a group that had connections with them). Nine tracks full of guitar, minimoog, mellotron, keys and some experimental space and near the symphonic passages, all sung in English. They split-up in 1976." The heavy metal continues with Madrid's Burning and another of the heaviest tracks here. 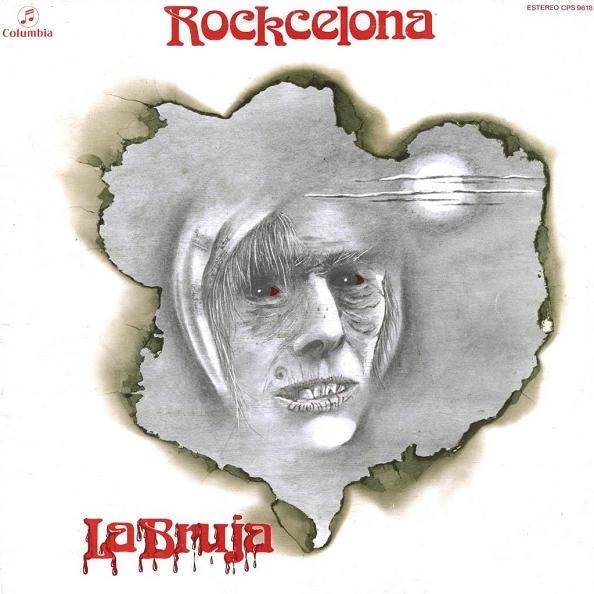 This one really opens up like some prime NWOBHM which is surprising to say the least for a Spanish band in 1975. Burning was started in 1974 by José Casas ("Pepe Risi", guitar), Antonio Martin ("Toño Martin", vocals), Johnny Cifuentes (keyboards) Enrique Perez (bass) and Ernesto Estepa ("Tito" drums). 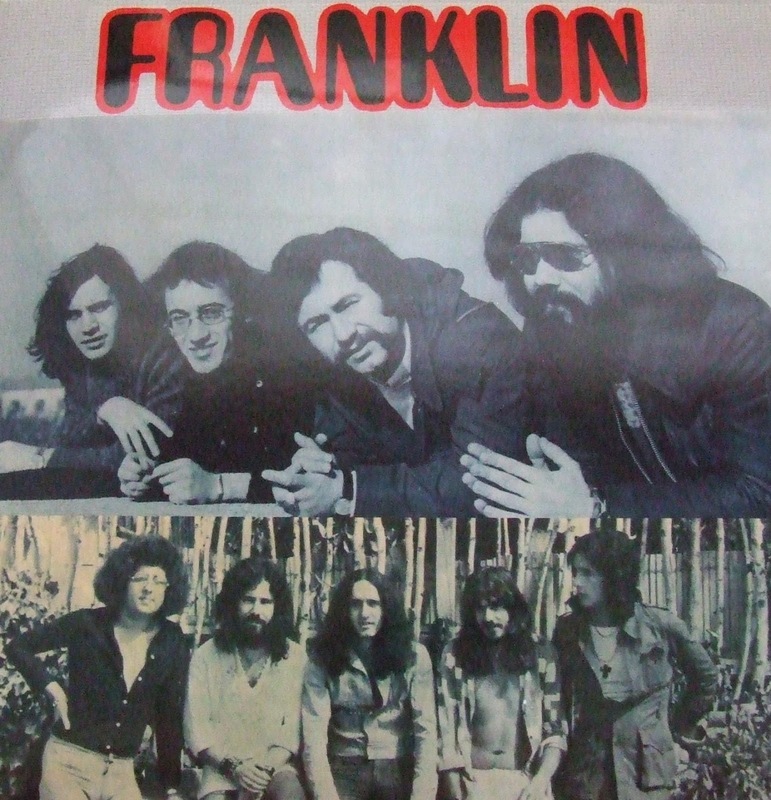 In this grouping they recorded some singles including the song used here, and then started making albums in 1978, continuing to the present day. 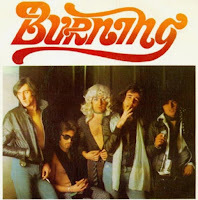 Although Burning began singing in English, they are regarded as one of the first Spanish hard rock bands to popularise singing in Spanish, which they did toward the late '70s. 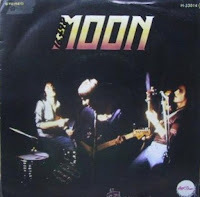 Moon was formed in Madrid in 1974 with Alberto Martin (guitar, vocals), Carlos Navascuas (bass) and Peter Martin (drums). Later Manolo Hernandez joined the band on vocals. Moon were in a movement of Spanish rock that became known as "Viva el Rollo !!" and they were included on a compilation record with that name (link). This important record helped spawn the likes of famous bands like Leno, Asfalto, Bloque, Topo and Ñu toward the late '70s. The Moon track I have used here is a heavy single from 1978 with more NWOBHM -ish metal going on! A reprieve from the heaviness and into some prog. Crack came from Gijon, the northern part of the Iberian Peninsula. The members were Alex Cakrul (bass), Alberto Fontaneda (guitar, flute and vocals), Mento Heria (keybaords and vocals), Manda Jimenez (drums) and Rafael Rodriguez (guitar). Their only album "Si Todo Hiciera Crack" (1979) is one of the classics of Spanish progressive Rock. It contains seven tracks, all with a great harmony between keyboards, guitar and flute. There are hints of early Genesis and Jethro Tull. And to finish with some more heavy metal, we have Zarpa, from Valencia. Front man Vicente Feijóo is the only original member and they are still playing to this day. Their first LP "Los 4 Jinetes Del Apocalypsis", which was originally released on tape only, is one of the best of Spain's early heavy metal albums. It was finally remastered in 2006, before which few people had heard it due to it's rarity. Their most recent LP was "Bestias del Poder", only last year. All these names are new to the blog and many of you will recognise them I'm sure. 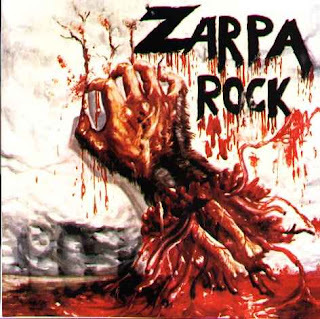 The UK, the US, Germany and Japan are all represented by talented bands that liked to push the envelope and take rock music into deeper realms than your average four minute axe-bashers. Here's some more results of the amazing experimentation that progressive rock and psych explored during those important times, leaving a legacy that continues to inspire the heavy bands of today. Just in case you are wondering, this is guaranteed 100% drum solo-free! This set opens with Steamhammer's "Telegram", from their final LP, "Speech". They are a hard band to describe concisely as they had a revolving-door lineup and made four albums that varied in style and quality. A quick look here shows how many members passed through, although founding guitarist Martin Pugh was a constant. 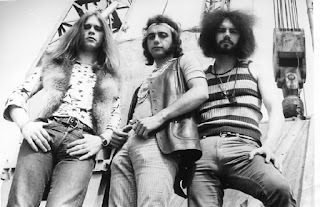 After Steamhammer split in 1973, Pugh and bassist Louis Cennamo joined up with former Yardbirds vocalist Keith Relf and drummer Bobby Caldwell (ex-Captain Beyond) to form Armageddon in 1975 (see Vol26). I really dig "Telegram", it's an extremely heavy and evil-sounding prog workout, all twelve minutes of it. The LP may be an acquired taste in it's entirety though, as one third of the whole album is taken up by a drum solo of over ten minutes, something hard to take for even the most patient prog fan! Track two, although not typical of the album it comes from, introduces itself with a passing similarity to Sabbath's tri-tone riffage. Road started in Los Angeles in 1970. With bassist/vocalist Noel Redding (previously of The Jimi Hendrix Experience and Fat Mattress), guitarist/vocalist Rod Richards (formerly of Rare Earth) and drummer/vocalist Leslie Sampson. They recorded one album in 1972 called "Road" and disbanded shortly after. They got together after Redding left Fat Mattress and Richards left Rare Earth. 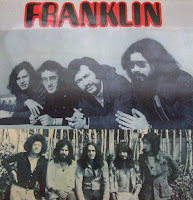 During Road's existence, Redding and Sampson were involved in jam sessions that resulted in Randy California's 1972 "Kapt. Kopter and the (Fabulous) Twirly Birds" album (see Vol5). 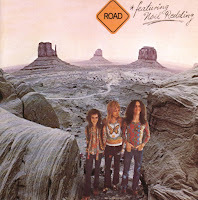 Following Road, Redding and Sampson formed The Noel Redding Band, while Richards went on to a solo career. Sampson also joined Stray Dog, (see Vol8) played in The Gas in the early '80s and Sally Barker And The Rhythm and The Pirates in the '90s. "Do you think that Jimi was being manipulated by the music industry when the 'Experience broke up?" NR:- I think he was under pressure, because there were all these contracts going down that no-one knew nothing about. Hendrix wasn't coming up with the same quality material because the record company was saying that he had to come up with stuff "comparable" to his previous stuff. I do think the guy was a bit lost and I do think he was getting manipulated business wise. The poor guy, bless him, just needed some time off. He should have come to Ireland for a year! "Do you think the music industry has changed much over the years?" "After you left the 'Experience what did you do?" NR:- Well, I'd had the Fat Mattress earlier as a writing outlet for songs and that. When I left the 'Experience, the Fat Mattress did a German tour and an American tour, then that all collapsed as well and I was living in Los Angeles. I had another band called Road. A three piece Heavy Metal type thing, and in 1972 I moved to Ireland. I have often had Silberbart (trans. "Silver Beard") recommended to me for this blog, and here is a great opportunity to use one of their long free-form compositions. Little is known about this trio from Hamburg. Their 1971 album, Four Times Sound Razing, is regarded as a lost classic of Krautrock, It combines heavy metal and avant garde improvisation. The band was formed in early 1971 by Hajo Teschner on guitars and vocals, Peter Behrens on drums and percussion, and Werner Klug on bass. Teschner had been in a Shadows-styled band Die Schocker in the mid-'60s before joining bubble gum pop band The Tonics. After that, Teschner, who had always been interested in free jazz, was ready for something more adventurous, and started the experimental power trio Silberbart. Given his Tonics connections with Philips, he was able to make an album on the label. Unfortunately the strange record did not attract much attention at the time, but by the end of the '70s they had appeared on the Nurse with Wound list of influences (link), and Julian Cope says the LP "....tears at the stitches as elements of Guru Guru’s first two albums and Alice Cooper’s first three are straddled simultaneously in a jarring, screaming and ultimately razing proto-metal masterpiece". I would recommend Eiliff''s LPs to fans of all that's heavy who would like to explore the possibilities of jazz prog, and this style of prog is not what I usually go in for. They play hard and fast all the time though, so there's enough aggression in their long saxophone and hammond-infused tracks to pique the interest of open-minded hard rock fans. The musicianship is consistently brilliant and they remind me of Eindhoven's Mr. Albert Show a lot (see vol63). "faust3d" at RYM said: "Together with Gila and Eulenspygel, Eiliff was one of the best bands to come out of jazzy Stuttgart krautrock scene". Coincidentally, both those bands have appeared in TDATS before. This comp ends with a suitably epic track that takes a departure from the previous prog/psych tracks here. It's from the guitarist of a Japanese band that has appeared in the blog before, Bow Wow (vols 18 & 36). He made a solo album in 1980 and it ends with "Horizon". I was blown away when I first heard it and it's a real blast, something you'd want to hear during the end credits of a particularly tough Japanese video game or in a movie scene with triumphant space ships returning from battle. On that point, I was pleased to see that he recorded some theme music for a TV sc-fi puppet show that I liked when I was a kid, X-Bomber (aka Starfleet). Goodbye and thanks for listening!